I’ve had a long-standing annual tradition to go see a movie on my birthday. Sometimes it’s because it’s an Important Film that nobody else wants to go see (remember Syriana? ); sometimes it’s a Bad Film nobody wants to see (last year’s Punisher War Zone). This year, nothing was really jumping out for my attention – the last film that came out I really did want to see was The Men Who Stare At Goats, which is already out of theaters; the next couple I want to catch – Sherlock Holmes and Up in the Air – haven’t come into them yet. 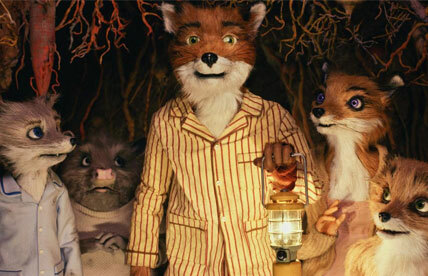 So I ended up splitting the difference, and choosing the other George Clooney movie out now – The Fantastic Mr. Fox – primarily because it was playing within walking distance. What a great movie. What an utter joy of a movie. Now, keep in mind, this is in EVERY way a Wes Anderson movie. It indulges every single one of his quirks – 70’s tech and fashion, diorama-style setting – and explores his usual themes of how eccentrics can be part of a community while maintaining their individuality (Foxy* actually like some kind of furry, enthusiastic hybrid of Royal Tennenbaum and Steve Zissou), but something about a slight uptick in the dry humor quotient and a speedier gate makes this quite possibly the easiest Anderson movie to enjoy without having to explain why you enjoy it. In other words, it’s all the things you expect out of a Wes Anderson movie, but it’s also a lot more fun than usual. Highly recommended – to the extent I’d plunk down the money to see it in the theater, the better to really take in the setpieces. *Foxy also allows George Clooney to break out one of my favorite Clooney-character-types: the Overconfident-In-His-Limited-Charms Man (see: O Brother Where Art Thou; Ocean’s 12 – WHICH I THINK IS PRETTY GOOD). I always liked The Royal Tenenbaums the best, because I always imagined that Royal Tenenbaum was who I was going to be when I got old. It was easy to have sympathy for that guy. Maybe I’ll take Avery to see Fox over break. Ooo! I forgot this was coming out! 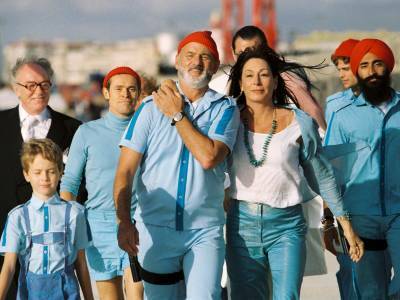 “The Life Aquatic” is totally authentic. And Wes Anderson gets away with his investigation of the “idle-rich” or coddled academic mindset, by including things like Howard Blume’s chapel speech in “Rushmore”. Plus, I really like all of the actors he uses. With few exceptionsm, I’m usually a fan. I’ll certainly see “…Mr. Fox”.